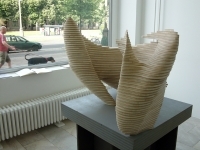 The programmatic IMD-exhibition in Berlin shows a thematically compiled multidue of timebased, generative and parametric design objects of the institute's current studio classes. 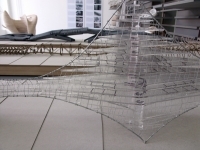 The students of the first year studio use predominantly analogous methods of drawing, designing and modeling. 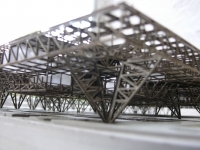 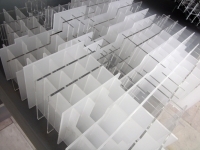 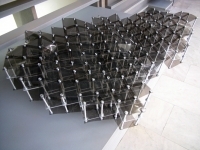 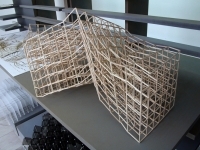 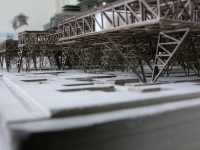 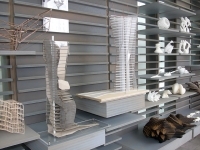 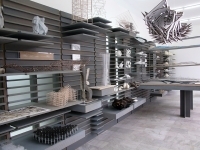 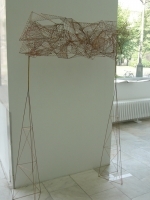 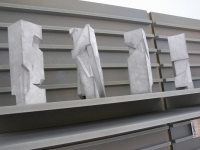 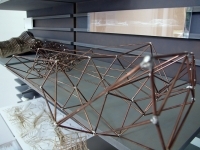 The advanced students work with digital methods of designing spatial structures and materializing architectural models. 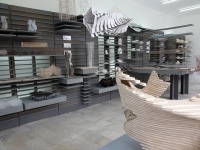 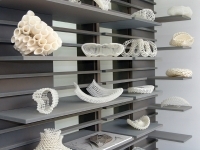 They explore a wide range of CAAM methodes like lasercutting, 3D-printing, digital styrocutting, CNC-miling et cetera. 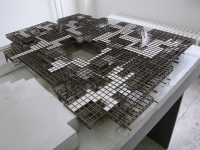 The idea of our classes is a strategic intermedia mix of analogous and digital materialization of spatial issues.